430 people in our community are currently praying with you. Mahalia Jackson in her famous rendition of the classic spiritual, Trouble of the World. I'm going home to live with God. I'm going home to live my Lord. 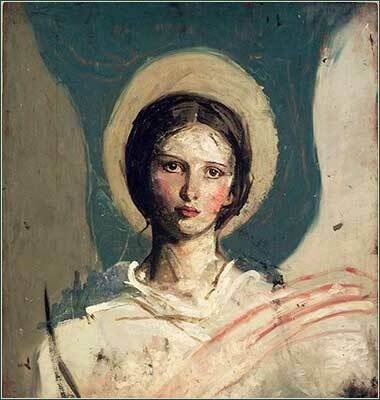 Angel by Abbott Thayer, ca. 1889. Thayer often painted his beautiful daughters as angels; this would appear to be his eldest daughter, Mary. Having told us not to use vain repetitions, Christ then gives us His model prayer which, ironically, is probably more often said as an automatic, routine, desultory prayer than any other in Christendom. Most of us know it so well that we can say it while working a crossword puzzle. Instead of a message to change our hearts, we often just run through it, perhaps letting a couple of high spots sink into our consciousness a little. We are going to take the time, starting Monday, to go through it line by line, exploring all the interesting and illuminating subtleties of the prayer; and thus, hopefully, we will be enriched every time we say it, and not be tempted to rush through it. A more fitting name for it would be “The Disciples' Prayer”, as both the introduction to the Sermon on the Mount (Matthew 5:1-2) and, even more strongly, the account of it in Luke (Luke 11:1-4) set it in the context of Jesus teaching His apostles. Although we have a multitude sitting and trying to hear in Matthew, the entire Sermon is more specifically a lecture for future teachers. These are the men who will go off on their own to spread the good news, first traveling short distances in pairs during Christ's life, and more importantly, traveling far and wide after His death and resurrection. 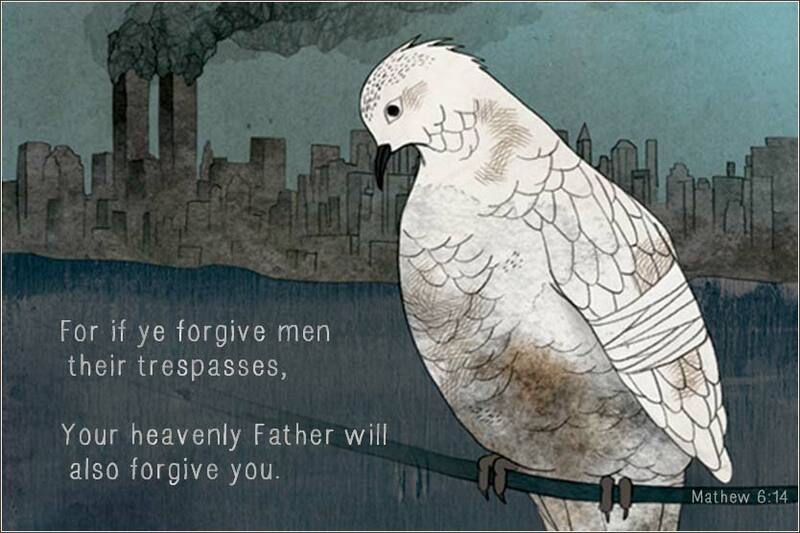 It is not primarily a child's prayer, or a prayer to convert nonbelievers, or a family prayer. It is primarily a prayer for the devout, for those who have been reborn in Christ. In other words, it can only be effectively prayed by those who understand what they are saying, both in their mind and in their heart. It is densely worded and, in several spots, difficult to understand fully. The prayer has three parts. The first deals with God Himself and our wish to be united with Him in proper relationship. The second is intercessory, for our own needs to be met, and itself has three subparts. If you examine them closely, you will notice that each seems to invoke a different person of God. Our daily bread, implicating the earth and its creation, speaks to the Father, the Creator; our forgiveness, to the Son; our resisting temptation, to the Holy Spirit. The last section also divides into thirds, each addressing a different aspect of God's greatness: God as King, that is, the maker of laws and the judge of all persons; God as Creator, by whose will all thing were made and are sustained; and God the object of our adoration, the God who is worthy of praise above all else in the world.